Introduced in early 2017, the 2018 Audi Q5 is one of the most recent models in the Audi lineup, and it’s also one of the most advanced. 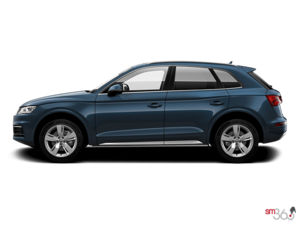 Completely redesigned with a more sophisticated look and some pretty impressive technology, the 2018 Audi Q5 answers every need a luxury compact SUV buyer could ever have. It’s lighter, more efficient, and more luxurious. It’s also more spacious. No question about it, there is a lot to love about the 2018 Audi Q5. The 2018 Audi Q5 features a 2.0-litre turbocharged four-cylinder engine that delivers 252 horsepower and 273 pound-feet of torque. There’s also an SQ5 version, but we’ll be focusing entirely on the 2.0-litre, which offers plenty of power to go along with a very reasonable fuel consumption rating. You can also modify the way that the new Q5 drives thanks to Audi’s Drive Model Select system, which offers five drive modes that adjust steering, suspension settings, and how the engine delivers its power. That means that you can get a more comfortable ride, a performance-focused drive, or in between, just by pressing a button and selecting the appropriate drive mode. Inside the new 2018 Audi Q5, we find an improved interior that is as elegant and refined as the previous Q5, but that also has more space. Indeed, there’s 610 litres of cargo space with all seats in place, which is more than what you will find in the BMW X3 or the Mercedes-Benz GLA. 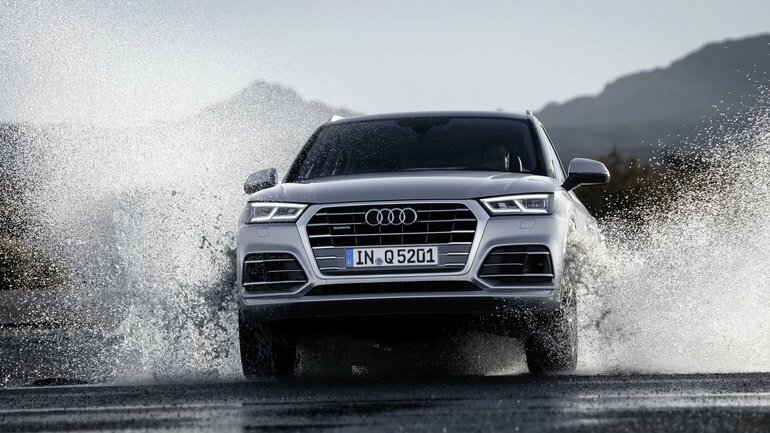 Finally, the new Audi Q5 is the first Audi model to receive Ultra Quattro all-wheel drive in North America. This system uses a two-clutch system to disengage the rear wheels when the driver doesn’t need all four wheels for stability. This helps save on fuel consumption while also ensuring that if you need it, Quattro all-wheel-drive is at your disposal. To learn more about the 2018 Audi Q5, contact us today at Bill Matthews Audi!